KissCartoon is a free streaming site that contains thousands of popular animated television shows and movies. They feature various U.S. cartoons, movies, and some anime. The wide selection of content is appealing for those who enjoy cartoons or for parents who want to find free movies or TV shows for their kids. However, KissCartoon may not be the best option. Before visiting this website and streaming content on your computer, tablet, or phone, you should find out if KissCartoon is safe and legal. Conclusion: Should You Watch Cartoons on KissCartoon? 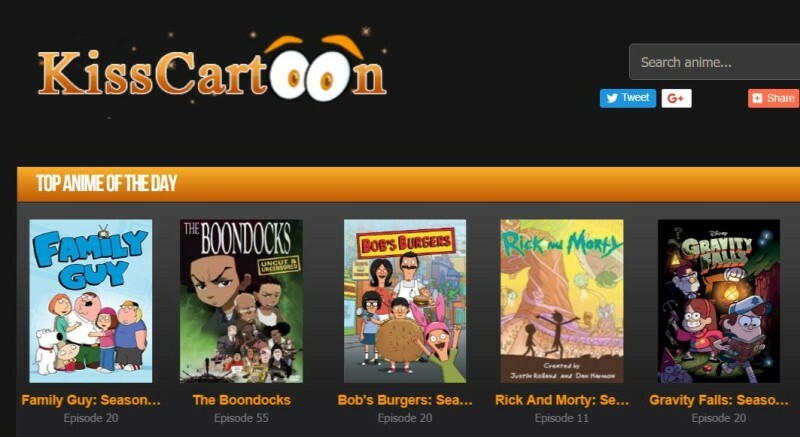 KissCartoon is one of the dozens of websites that delivers free streaming content. You can access it from any device with a web browser, most shows are available in HD, and they have a large selection. The website is also easy to browse. The content is organized, allowing you to quickly binge your favorite cartoon or show or find your child’s favorite movie. KissCartoon is owned and operated by the Kiss Anime Network. They are an overseas company that hosts their site on servers located in countries that do not enforce copyright laws. Originally, the sites were hosted in Vietnam. Besides KissCartoon, the same group manages a variety of other sites that offer pirated content. They have sites dedicated to manga, U.S. comics, and Korean drama TV shows. These websites were first created about a decade ago. Millions of people have visited KissCartoon to watch free TV shows and movies. However, most of the sites that now exist are fake clones. The original KissCartoon was shut down in 2017 after the U.S. ambassador to Vietnam requested criminal prosecution. The sites that sprung up in its place are unlikely to be managed by the same people. In fact, no one knows who really operates the new KissCartoon clones. KissCartoon is not safe. These sites are known to deliver viruses to visitors. As the ads are not carefully controlled via a trusted ad network such as Google, there is a greater risk of malicious threats. There are also reports that KissCartoon, or viruses downloaded through the ads, allowed hackers to use visitors’ computers to mine for cryptocurrencies. When the computer’s resources are used for cryptocurrency mining, the computer slows down when performing other tasks. The viruses and cryptocurrency miners may not be directly connected to KissCartoon. However, the website does not take appropriate measures to prevent these actions from occurring. By visiting this streaming website, there is a chance of infecting your device with a virus. KissCartoon is not legal. They host pirated anime and cartoon movies. This website and the other sites managed by the same group do not have the rights to distribute the content that they host. These websites are occasionally forced to shut down, depending on where the servers and the company are located. KissCartoon has been shut down several different times. When these shutdowns occur, they immediately use a cloned version to keep the site live on a different server and with a modified domain name. There are also many fake KissCartoon sites that carry an even greater risk of viruses. These sites are clones of the original site and no one knows who manages them. The fake sites often appear with the same domain name and different domain suffixes. Instead of the standard KissCartoon.me, you may see KissCartoon.io or KissCartoon.bz. Even the original KissCartoon.me may now be controlled by one of the clone operators. Several of these options require a monthly membership or a TV package that includes the channel. For example, if your cable, satellite, or cable-alternative package includes Nickelodeon or Cartoon Network, you can download the app or sign into the website to stream TV shows. These websites and apps are safe to use and typically contain additional features. For example, you may have a playlist or the option to resume watching from where you left off. Another option is to visit your local library. Many libraries have their own movie collections and allow members to check out DVDs and Blu Rays. KissCartoon is one of many sites that illegally host pirated content. Watching pirated content is illegal even if you do not download it. While there is very little risk that you may face criminal action, you do face an increased risk of downloading a virus. Instead of streaming content from KissCartoon, you should consider using a legal streaming app or website like the ones we have mentioned above.